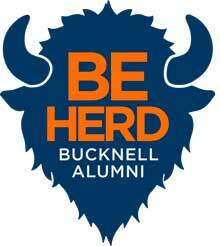 The Bucknell Alumni Association: a diverse network of over 52,000 Bucknell alumni members. The BUAA is governed by a 40-50 member Board of Directors committed to representing alumni, engaging Bucknellians, and promoting and enhancing the University. The board is pleased to share updates and highlights from BUAA board meetings filled with opportunities for all alumni to engage with each other and with the University. Check out our most recent update below. Updates from the Winter 2019 meeting. Please share your questions, comments or concerns with the Bucknell University Alumni Association Board of Directors. We want to hear from you! The earliest record of an annual meeting of Bucknell’s Alumni Association and its governing board dates back to 1938, when 13 regional clubs existed in a handful of east coast states. Today, the BUAA is more than 52,000 members strong, with thirty-five regional clubs that operate in and outside of the United States. We are proud to welcome each student who completes one full academic semester at Bucknell into the Alumni Association.